When you are about to change your haircut, it is always an exciting time. But it can happen to not be quite satisfied with the final result. People are extremely pretentious when it comes to cutting their hair, especially if they choose a short haircut that might seem hard to correct if it doesn’t go as planned. But you can rest assured knowing that a bad short haircut can be fixed, in case you are not as in love with it as you thought you would be! Nowadays, the hairstyling industry is so diverse and well developed that you can do almost everything you can think of in order to get that look you want! So, here’s what to do if your short haircut didn’t turn out just how you imagined it will! It is always wise to pay attention to your haircut in great detail before you leave the salon. Look at it from different angles and try to picture different hairstyles that you can do with it. If you are not sure if you love or hate your new haircut, make sure to communicate your concern to the hairstylist because they might be the only person able to help you with that type of concern. If you are convinced that you don’t like your haircut, don’t be afraid to ask them to fix it if they can. 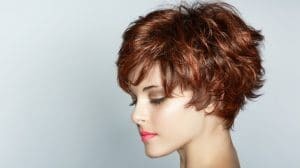 Sometimes, a few more cuts and some new layers will do the trick and also these small adjustments could make the difference between a failed haircut and a successful one. But you need to voice out your concerns before you go home and realize that you are stuck with a bad short haircut. Sometimes, you are not able to realize on the spot that you don’t like your haircut but after a day or two of playing around with it and trying different styles, you might decide that you need to correct it. If that is the case never get brave enough to do it at home, by yourself. 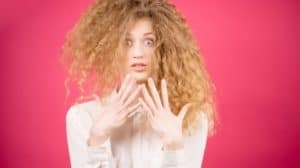 Let the professionals deal with such struggles and book an appointment to a different salon and hairstylist than the one that originally gave you the haircut. If there is something to save, a good hairstylist should be able to do that. Let the new hairstylist know just what you don’t like about your hairstyle and ask them if they can fix it beforehand. 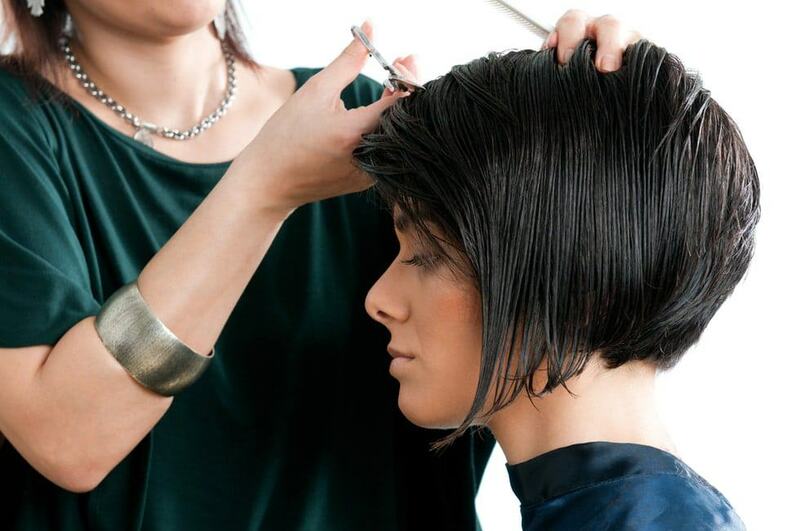 If you don’t know exactly what you need to correct about your hairstyle, ask your stylist for a professional opinion. Most often than not, a good hairstyle will be able to pinpoint just what is wrong with your hair from the moment they see you. If you can’t fix your hairstyle by going to a salon or it is too short for this type of adjustment, you can always try to use different accessories to make it look just the way you want. There are hair extensions that you can purchase and create the illusion of long hair but also different clips and ribbons that will make your hair look cute and professionally arranged. If you use your creativity you can make almost any type of haircut look much better by using beads, headbands, pins or any other type of accessories. While the options men have in such a situation might be limited, when it comes to girls, the sky is the limit! Scarves and bandannas also work miracles when you want to hide a bad short haircut or make it look less dramatic than it actually is. A good and very easy to apply trick is to change the color of your hair. You might be surprised to know that certain haircuts look a lot better on different hair colors. And if you want a radical change of look, you might find the right color that will make you proud of your hair and overall image. It is advised to always talk to a professional before you make up your mind regarding your hair color because what you imagine to achieve might not necessarily be what you will achieve. 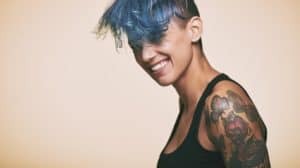 But in most cases, changing the color of your hair will make your bad short haircut look much better and you might even start to fall in love with it! Don’t be afraid to color your hair, as radical as such a change might seem. Try your best to use high-quality products that will not damage your hair and keep the experiments to the minimum! It is best to have a professional hairstylist color your hair in order to get the exact shade that you want and avoid the hassle that you would have to go through if you would do it yourself! There are cases in which the haircut you have is not the main culprit for your lack of satisfaction when you look in the mirror. You might actually not know how to style your new haircut the right way. Styling your hair correctly can make you look amazing, even if you are not so happy with your haircut at first. You can try out different styling creams or mousses and give your hair the image that you want it to have. If you are not sure what style to go for with the haircut that you have, ask your hairstylist or simply browse the internet for ideas. Chances are that in a short time, you will become a pro at styling your hair and make the most out of any haircut, even a bad short one. All you have to do is keep an open mind and be willing to give new hairstyles a try in order to see just how good you can look with very little effort! As we know, it is a lot better and easier to prevent than to fix a problem and this theory applies to haircuts as well. So, rather than having to correct a bad short haircut, you might want to do all you can to avoid it in the first place. There are certain aspects that you can take into account to do that and it doesn’t require much of your time. You can try to wear a wig for a day, that will have the length of the haircut that you intend to get. See if you feel comfortable with that hair length and how you can style it in order to give yourself different looks before you actually get a pair of scissors involved. This can be extremely helpful, especially if you are going for a drastic change in your hair’s length such as going from long hair to very short hair. Another great tip to avoid getting a bad haircut is to ask your hairstylist to cut your hair one step at a time; they first cut a couple of centimeters and they repeat until you tell them that you are comfortable with a certain length. This might require patience for both you and your hairstylist but it is much better than ending up with a hair that is too short. Also, let your hairstylist know that you are not sure about the length that you want or that you are concerned about ending up with a bad short haircut. This will make them pay more attention and acknowledge your concerns at a more practical level, which can make all the difference when it comes to changing your haircut. And an obvious tip in order to avoid ending up with a bad short haircut would be to not do it on your own. Even if you are a hairstylist yourself, it is risky to cut your own hair and chances are that you will not get it just as you want it to be. Go to a professional salon and let them take care of your haircut the best way they know how! This way, your chances of ending up with a good looking hairstyle are a lot bigger! While a bad short haircut is not a dramatic situation, it can definitely be a stressful and unpleasant one. But before you get too unhappy about it, try the tips in this guide and see how you can make the situation better. If nothing works to the extent to which you expect, you can always pull out the patience card and realize that, ultimately, it is just hair and it will grow out soon enough. You might love your haircut in just a few weeks, once your hair reaches another centimeter of length so there is no need to get too scared about a short haircut as it is all temporary anyway!